When it comes to email marketing, there is a LOT to think about. Graphics, layout, text, CTAs – the list goes on. With so much happening, it can be easy to overlook things which seem less crucial; especially if you’re under time pressure. Here’s a quick reminder of some commonly overlooked aspects of email marketing which you should try to keep in mind for your email campaigns. Spam law dictates that every email you send must contain a visible unsubscribe link. If you don’t include this in your design, you could land your business in legal trouble and even end up with a hefty fine. Other important links you may not want to forget are contact links to your customer service team, links to social media sites, view in browser links, and links to your website. These are all things that your customers will potentially search for in your emails, so it’s vital to make sure they are visible. Save your most important links in a ready made layout block to quickly drag into all your email designs whenever you need. The inbox snippet is the perfect chance to make your email stand out in an overcrowded inbox. Much like the subject line, the snippet gives you the opportunity to provide readers with a tantalising sneak peek that’s bound to make them want to open your email. We are strong supporters of HTML email design – after all, we built a whole business around it! However, there are some circumstances where HTML email isn’t supported. In order to keep your email campaigns accessible for every one of your customers, be sure to create a plain text version of your email design. Make sure to only include the key points of the email and keep the text brief. It will be super effective. Include a plain text version of your email to make sure it will be accessible for everyone. 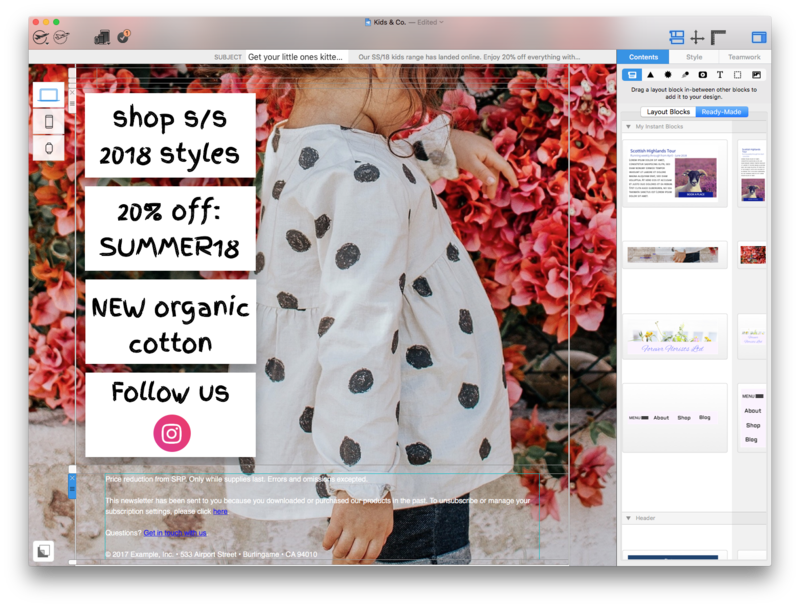 While it may be tempting to go for the coolest and most visually effective web fonts, some email clients do not support them; resulting in missing text and a frankly ineffective email design. 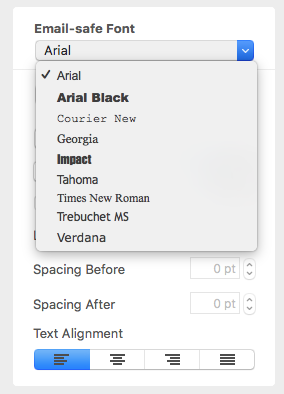 In Mail Designer 365, you have the option to include multiple fallback fonts, as well as “email-safe” fonts which are universally supported. When creating your designs, don’t forget to quickly choose at least one email-safe option for your own peace of mind. For more advice on fonts, check out our recent article on the best fonts for email marketing. Many email clients will not automatically display your images in the reader’s inbox. This can happen for a number of reasons: some people choose to configure their inbox preferences that way, your image may be too large to load properly, or you may be marked as an unknown sender. 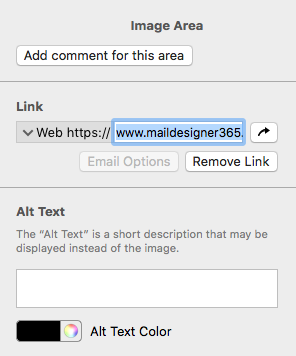 Including alt text and a link for every image is an effective way to combat this issue. This way, instead of seeing a huge blank space, your reader will see your chosen text to describe the image (e.g. Yasmin Scalloped Skater Dress Black) and a link to view the image on your website. These five aspects of email design may not stand out to you as being an essential part of your email marketing campaign; however, if you take the time to remember to include them all every time, your emails are guaranteed to be better than ever.